This is our first anniversary. Yay! The podcast has been going for a whole year. And our anniversary podcast comes from an old friend of the magazine, Amanda Hodgkinson. She reads the opening chapter of her book, 22 Britannia Road. At the end of the Second World War, Silvana and eight-year-old Aurek board the ship that will take them from Poland to England. After living wild in the forests for years, carrying a terrible secret, all Silvana knows is that she and Aurek are survivors. Everything else is lost. Waiting in Ipswich is Silvana’s husband Janusz, who has not seen his wife and son for six years. He has found his family a house and works hard planting a proper English garden to welcome them. But the six years apart have changed them all. To make a real home, Silvana and Janusz will have to come to terms with what happened during the war, accept that each is different and allow their beloved but wild son Aurek to be who he truly is. When 22 Britannia Road came out in hardback last year, it was chosen as one of Waterstone's 11 best debut novels of 2011. The paperback edition is coming out on 2nd February, and we are delighted to announce that it has been named as the Orange New Writers Book of the Month for February. 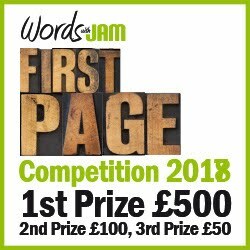 You can listen to the podcast at http://wordswithjam.podomatic.com/. If you like what you hear, please don't forget to click to let us know! One month after the death of Vaclav Havel, his fellow dissident writer and publisher, Joseph Škvorecký, has also died. Škvorecký fled to Canada after the Soviet invasion of Czechoslovakia and set up 68 Publishers which, for the next twenty years published dissident Czech and Slovak writing banned in his own country. Last year, WWJ published a review of his novel, The Cowards. It's republished here, as a tribute to a fabulous writer who should be much more widely read. I happened to have been searching out Czech literature written behind the Iron Curtain recently, which is how I stumbled across The Cowards. Set in the final week of the Second World War, The Cowards tells the story of Danny, saxophonist in the best jazz band in Czechoslovakia. Danny has grown up in the small town of Kostalek, near the border with Germany. For most of the war, the town has been under Nazi occupation. But now the occupying forces are on their way out, the SS are retreating from the Eastern Front, the Red Army is advancing and everyone in the town is talking about Revolution. Danny quite fancies the idea of being a revolutionary hero – provided it means he can persuade the elusive Irena to go to bed with him. The reality is something else again. Conscription, tedious military drills, pointless patrols – all this just gets in the way of making music. Throughout the book, Danny fantasises about the girl he will meet in Prague, the one who will make him forget even Irena – something which lends a touching note to Škvorecký’s dedication, ‘To the Girl I Met in Prague’. The book is a wonderful evocation of what it is like to be a teenager - self-obsessed, image conscious, writhing with hormones and muddled ideals. When all that comes hard up against the brutal realities of War, it’s as if Holden Caulfield has walked into the pages of Catch 22. Jeanne Nĕmcova’s translation cleverly captures the way these kids have modelled themselves on the films and music of Britain and America. When the British POW’s leave on the train, Danny is half aware that his hopes are leaving with them – but we know better than he what his future holds. Written in 1948, when Škvorecký was 24, The Cowards was published ten years later, when it was immediately banned by the Communist authorities, who couldn’t tolerate Danny’s irreverent attitude to the sacred concept of Revolution. Škvorecký left Czechoslovakia after the Warsaw Pact invasion in 1968 and settled in Canada. There he set up 68 Publishers, which continued to publish banned Czech and Slovak literature until the Velvet Revolution in 1989. Funny, moving and brutally real, this is a book that deserves to be much better known in the West. Our first podcast of 2012 is the opening chapter of Pete Morin's fabulous legal thriller, Diary of a Small Fish, read by the author. When Paul Forte is indicted by a federal grand jury, everyone suspects prosecutor Bernard (don’t call him “Bernie”) Kilroy has more on his mind than justice. Then the FBI agent in charge of Paul’s case gives him a clue to the mystery: Kilroy is bent on settling an old family score, and he’s not above breaking the law to do it. Paul is already dealing with the death of his parents and divorce from a woman he still loves. Now, with the support of an alluring grand juror, Paul must expose the vindictive prosecutor’s own corruption before the jury renders a verdict on his Osso Buco. Who ever knew playing golf could be a federal offence...? Diary of a Small Fish is published in paperback and as an ebook. How many words do we have at our disposal? The OED lists over 500,000, not including scientific terms and most teenage expressions. In comparison, German has a vocabulary of less than 200,000 and the French only half that, even when you include words they stole from us, like le weekend, le snacque-barre and le hit-parade. So, yeah, we like totally rule. Bileptic (adj): relating to the ability to hold two widely differing mindsets at once, and to switch between them depending on the company you’re in. Nick Clegg is a famous sufferer of Bilepsy. Dooky-noo (n): A medieval Barbie-type doll game for girls, based on the witch/ducking stool test. How to play: your daughter’s dooky-noo was thrown into the village pond by the local witchfinder-sergeant. If it floated, your daughter was burned alive. If it sank, your daughter was thrown into the pond after it. See also Kenny-noo for boys. Lutheran or heretic? Same principles apply, each sold separately. Zonambric (adj): A technical term describing the hypocritical suspension of political correctness in certain circumstances. In last week’s episode of Gok Wan’s Fat Birds Catwalk Special, Gok Wan was heard to shriek “Ooooh get a load of those bangers, love. You go girlie!” In an obviously zonambric reaction, his comment was met with laughter and applause, but when football commentator Andy Gray made a similar comment to a Sky News weathergirl a few months ago, it resulted in his immediate suspension and later sacking. And finally, we need your help in this verbal initiative. Please send us your words, and our resident expert will provide you with definitions of them. In this way, we will do our bit to improve the state of humanity as a whole, and the degree of literacy that exists within it. Your cultural future needs you! 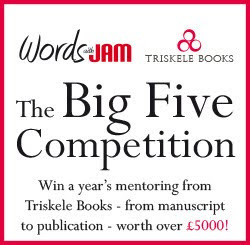 Email them to us at editor@wordswithjam.co.uk with the subject 'Invent your own' or post them on our Facebook wall.